"Absolutely the Best in Florida Light Tackle Tarpon & Fly Fishing"
"Tarpon Time" Paul Plante battled this 180+lb Tarpon on light tackle!!! 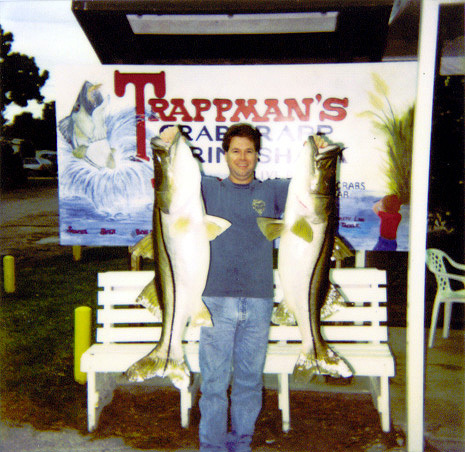 Thank You, Florida Light Tackle Charters! Please click on images to enlarge! Just past Florida's golden beaches and mangrove shorelines, lies the deep blue of the Atlantic Ocean, The Florida Straights and the Gulf of Mexico. You'll venture beyond the safety of shore to triumph in the age-old battle of human vs. sea creature. Florida Light-Tackle Near Shore Fishing: Every year, giant schools of Pelagic's migrate just off the beaches of Florida's east & west coast. 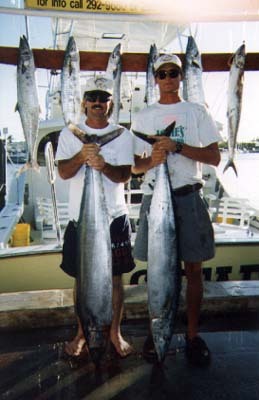 Kingfish, Little Tunny, Spanish Mackerel & Cero Mackerel are the common targets. In addition, schools of Barracuda, Permit, Cobia, Tarpon, Giant Jack Crevalle and Sharks also make a presence. 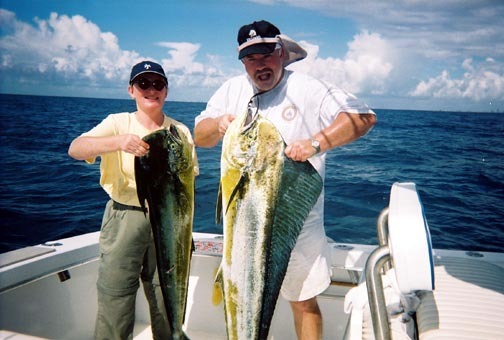 Unlike traditional deep sea fishing tactics, such as trolling or drifting with 30 - 50lb class gear, we target these very same fish using 8 to 12lb spinning tackle and even fly tackle. It's just like back country fishing offshore. You'll be casting, free-lining, and even sight fishing for fish that can easily dump 100 yards of line or backing off your reel in seconds, testing the very best in tackle, and your will to wear down a big speedy fish on light tackle. Florida Light Tackle Near-shore Fishing is NOT five or six anglers trolling or drifting, patiently waiting for one of the lines to begin screaming, but instead, it's two or three anglers, casting top water plugs or flies at schools of Tuna & Barracuda; or casting crabs 75' at pods of Giant Tarpon or schooled Permit; or free lining live herring over one of our many near-shore wrecks, with the hopes of latching on to a 50lb Smoker Kingfish or Cobia. This is running 40MPH to 50MPH from wreck to wreck, bait pod to bait pod or in search of feeding tuna. Our light tackle near shore boats are small, versatile & fast. You will not find AC, lounge seating or even a head. These boats are designed for one reason; for serious light-tackle near shore fishing! Please leave the sightseers, sun tanners, book readers and children at home. This type of trip is for serious anglers only. 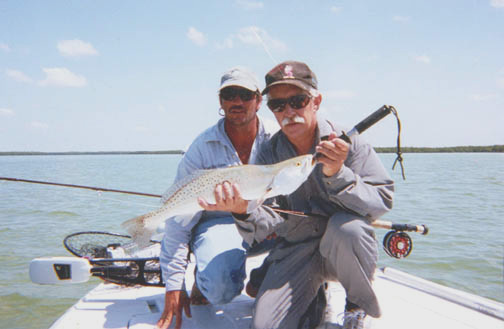 Like backcountry fishing, two to three anglers is best. Four is tight but manageable. Anyone looking to fish four or more Anglers, or looking to fish deep sea but not quite as serious, should book one of our "Traditional" deep sea charter boats. Deep water wrecks and reefs in search of tasty Grouper and Snapper; trolling or drifting live baits or lures for Sailfish, Tuna & Dolphin; or drifting or trolling over deep water ledges and sea mounts with the hopes of raising a record class Blue Marlin or even a Giant Mako Shark; or even as simple as drifting live sardines over near-shore wrecks in search of Kingfish, Tunny and Cobia. 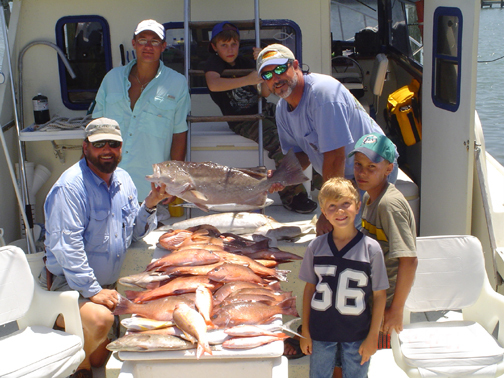 While aboard one of our deep sea charters, your options are endless. You will never know what monsters swim below, until you get one on the end of your line. 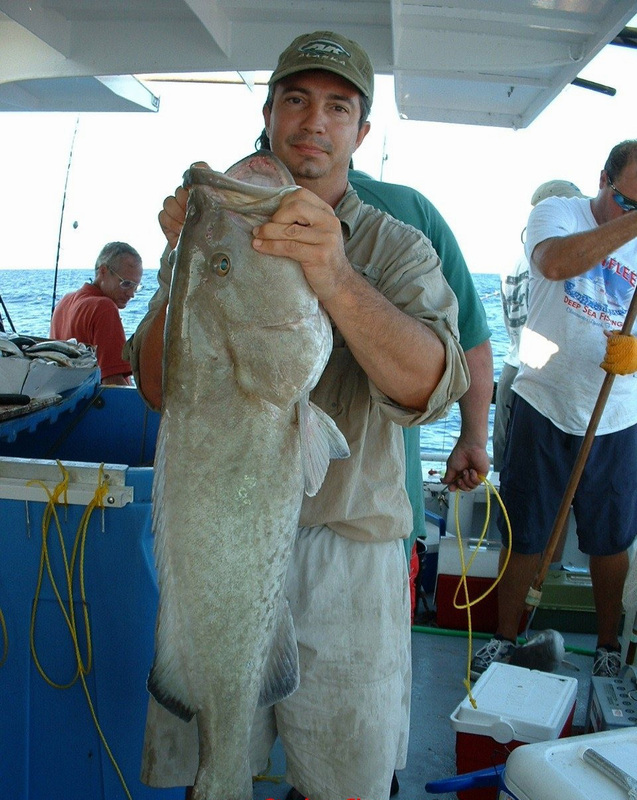 This is Big Game and/or Deep Sea Fishing for everyone to enjoy. Important Note: This type of Charter is extremely weather dependent. If the conditions are too rough, we ARE NOT GOING FISHING. When the wind is blowing, let's either reschedule or save the day by catching a boat load of fish in calm protected water. 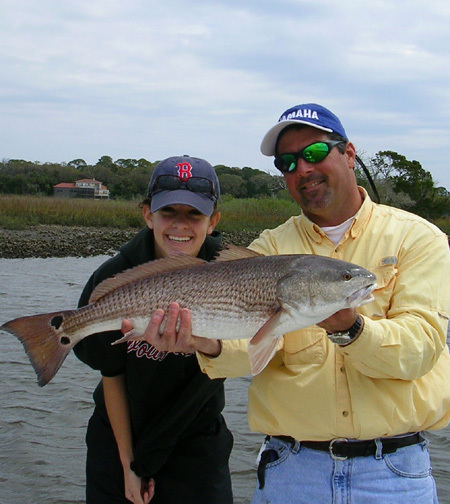 For more information on Calm Water Fishing, please click on Backcountry / Flats Charters. 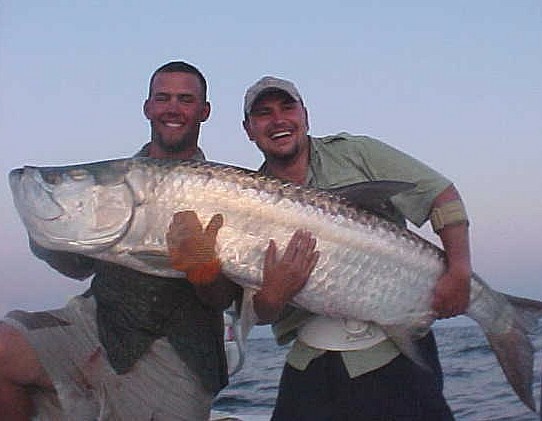 We are booking up fast for the 2018 Tarpon Season. 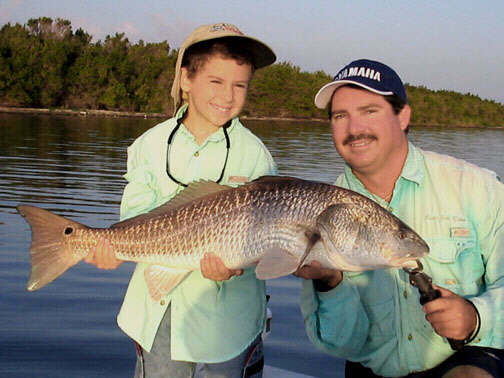 Book Now to reserve the last few available Hill Tide Dates..
Florida Light Tackle Charters Inc.
© 2001 Florida Light Tackle Charters.